Welcome to Gate Repair San Mateo. We are a top rated fence and gate company serving San Mateo and the surrounding Bay Area. Our company offers a wide range of services such as installation and design of various fence and gate styles. We install all types of driveway gates with remote controls systems, iron gates, ornamental iron works, custom gates. Check out our Photo Gallery to view examples of our work or call for information on a free consultation or estimate. The goal of our company is to make your fence and gate installation project as simple and easy as possible. Gate Masters Fences & Gates provides peace of mind, while increasing the value of your property. We look forward to helping you make your home or business a great and secure place to live or work. No matter the size of your budget, we give great value for the money and our prices are usually less than the competition. We understand your fence and gates represent a significant investment in your home or business. Contact us today for your FREE estimate. 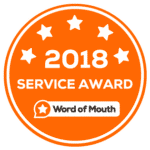 The reason we're able to provide each client with a 100% satisfaction guarantee is because we have the experience and know-how to get the gate services job done right. Above all our experienced and professionally trained technicians have three decades of experience between them! In addition to installation and repairs, we also offer ongoing preventative maintenance packages. After all, the better care you take of your driveway gate, the better care it will take of you and your loved ones! If you own an automatic gate at your home or business, sooner or later, you will be in need of a repair. Sometimes, you will want to install a new automatic gate and simply replace your old worn out automatic gate. Gate repair in San Mateo has over 10 years of experience with all brands and styles of automatic gates. Our qualified technicians will be happy to help you with your automatic gate repair or new automatic gate installation. Our gate repair San Mateo company also has the ability to build you a custom gate. Additionally, we can also make professional recommendation such as new gate openers, accessories, and intercom systems. 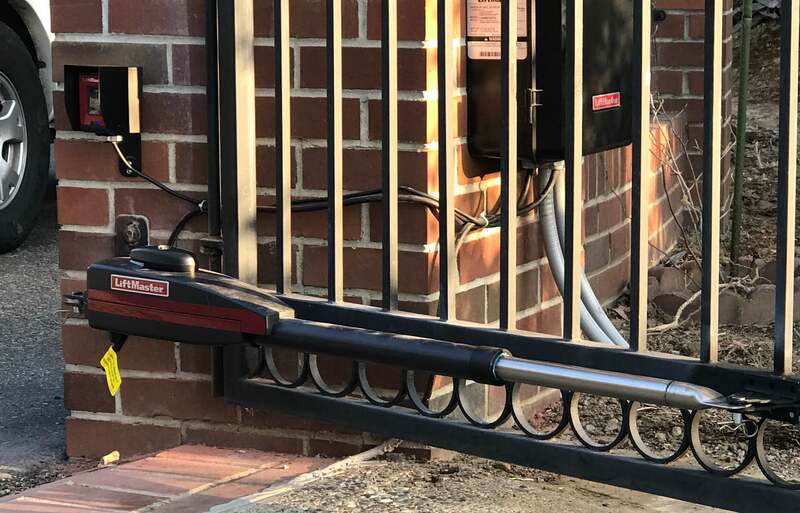 If you still have to manually open your sliding or swing gate, talk to us about the many advantages of automatic gate openers and electric gate openers. 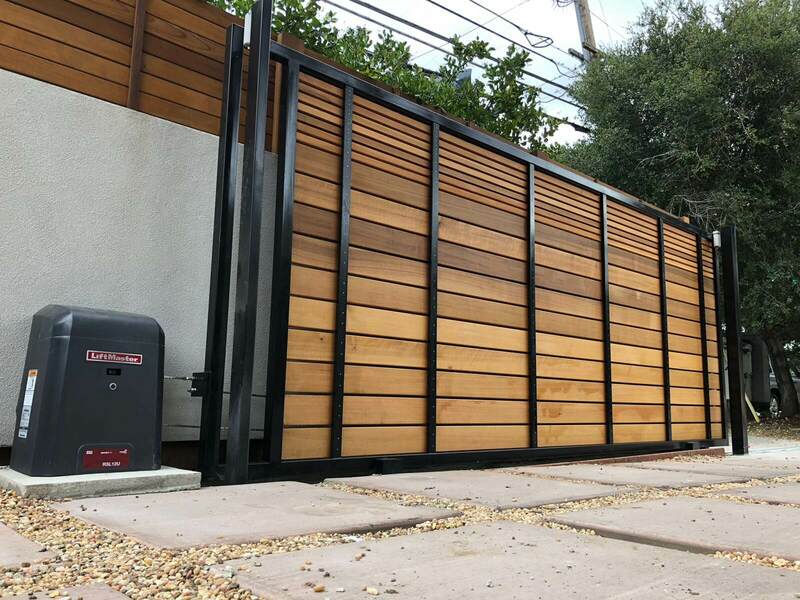 Imagine the convenience, and security of being able to open your gate with a button or sensor. There are even solar-powered options available which looks great energy efficients, and last for a long time. Here is an example of Automatic Gates operators brands you might want to check: Liftmaster, Doorking, Viking. Don't put off your San Mateo gate repair for installation any longer. 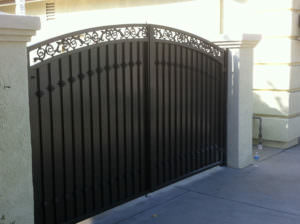 San Mateo Gate Company will work for you at your home or business gate services. We work quickly and efficiently, without sacrificing anything in the way of craftsmanship. For this reason call us for an onsite estimate. Dial (650) 560-4646 today! Although most home owners today are conscious about the maintenance and upkeep of their automatic gates. Gate openers issues often go either unnoticed or unaccounted for by most. There will surely be that one gate opener which gives you trouble to open it, or hinges which screeches loudly. Though it might not cause any immediate concerns for you, do you really want to leave it to a day when it does become a nuisance for you? If not, then call one of our expert residential gate repair technician today. As a result you will prevent damage, and we will suggest if a gate repair needed or system replacement. Whatever might be the approach, you can rest assured about the level of commitment and excellence our professionals will bring to the job. Therefore all this will come to you at a price which will fit very easily too into your minimal monthly maintenance expenses. Our dedicated San Mateo electric gate installation team have the skills and experience to help you decide which security gates will suit your property and offer the best protection for your family. We will always for a holistic assessment of security for your home, in which automatic gate installation will be just one factor. If you want to add value, enhance peace of mind, and provide security for family members 24 hours a day, every day, then give us a call and let’s get started. Gate Masters services and repairs every gate opener in San Mateo. Ranging from sliding gate openers to remote gate openers to driveway gates.